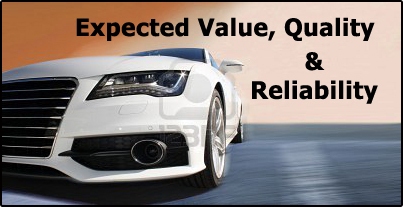 Valley Automotive Center - We are your complete full-service auto repair shop in Yakima, Wa. We are proud to be Yakima's premier family-owned shop since 1991. We service all domestic and import vehicles by ASE Certified Mechanics. We are a full service motor vehicle shop performing all mechanical and electrical repairs to any year, make and model of vehicle. We have the latest in high tech diagnostics to pinpoint any problem so it gets handled fast and you are back on the road quickly. Our approach is straight-forward and honest when it comes to repairing your vehicle right, the first time. Valley Automotive Center is a local Yakima automotive shop built on honesty, integrity and trust. We're proud to be Yakima's premier family-owned shop since 1991. 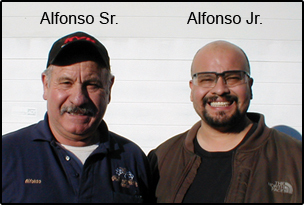 Shop owner Alfonso Botello has 40 years experience with Foreign and Domestic vehicles. He is Mercedes-Benz Certified, a veteran and a YVC Auto program graduate since 1972. His son Alfonso Jr. has managed the shop for over five years. 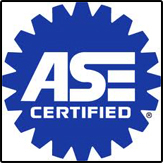 Our quality ASE certified mechanics at our facility employ today’s latest automotive technology and are equipped to handle all major and minor auto repair services on foreign and domestic vehicles. Come on in and let us take care of all your automotive repair and maintenance needs to prevent the possibility of engine failure or unnecessary breakdowns. Our work is backed by a warranty that is covered nationwide and we'll give you a written estimate prior to any work being done on your vehicle. We carry and use the top brand names in parts and fluids to keep your car running smoothly. Our shop is completely surrounded by fencing to secure and protect your vehicle.